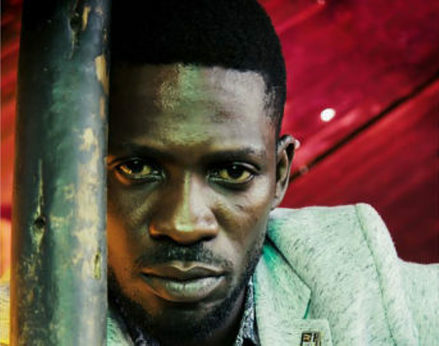 MAKINDYE: Lawyers of frail Kyaddondo East MP Robert Kyagulanyi aka Bobi Wine have urged the Uganda Human Rights Commission to intervene over the legislator’s deteriorating health in Makindye Military Barracks where he is detained. In a letter issued on Saturday, August 16, the lawyers through Lukwago and Company Advocates want the rights body to intervene and compel the army to release Bobi Wine for further treatment after they said that one of his kidneys was damaged during torture at the hands of the security agencies. The lawyer adds that the legislator is bleeding through the nose and some of his ribs were badly damaged yet no scans have been carried out on him. 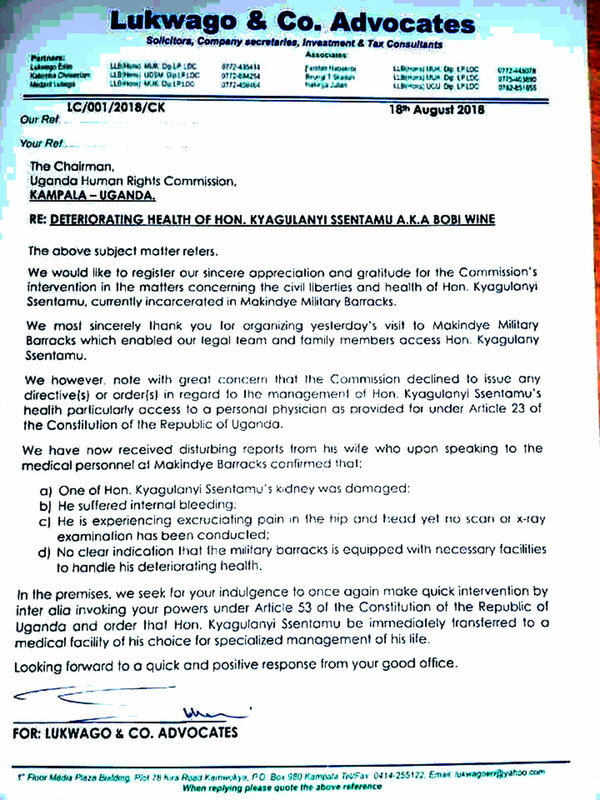 “We most sincerely thank you for organizing yesterday’s visit to Makindye Military Barracks, which enabled our legal team and family members to access Hon Kyagulanyi Sentamu…,” the letter reads in part. The lawyers add that they have received reports from Bobi Wine’s wife that his kidney was damaged and he suffered internal bleeding.